Australia is one of the fastest growing economies in the world today with one of the least populated country. It is also one of the most sought after Education Destinations for International Students. Known for its natural beauty and advanced lifestyle, Australia continues to attract thousands of students to enrol in its leading Schools, Colleges and Universities. There are plenty of job opportunities for International Students who can work Part-time during their Study Terms and Full-Time during Vacations. During your Study period in Australia, you can sponsor your Family Members and Dependent who can stay with you in Australia. But once you return after your Studies, they will also have to leave with you to your home country. However, the added attraction is that after completion of Studies in Australia you may apply for Permanent Residence (PR) Status and take up full Employment after a certain period of time will lead you to obtain your Australian Citizenship, subject to fulfilling and meeting prescribed criteria. 2. Why Study in Australia? International Students find Australia as a highly appealing and attractive Study Destination. The studying costs are Australia is more affordable and the Colleges and Universities offer high standard of quality education. The living conditions and lifestyle are also excellent considering the tolerant multicultural society. Higher education in Australia provides more value for money by offering shorter and more intensive courses. Hence such courses offered quickly incorporate the latest innovations in science and technology, modern trends in marketing and management into the Diploma/Degree Programs offered. This is one reason why you will find that Australian education is more practical and responsive to the needs of various sectors of business, trade, industry, commerce, banking, etc. International Students in Australia have access to one of the highest standards of quality education that is well-defined, administered and imparted. Commences at age seven. Children commence their education at the age of 5 years (Year-1), completing by the time they reach age12 (Year-7). This provides general education preparing student to play their role in society and readying them for the next level of education (Secondary School). Commences in Year-8 at the age of 12, and is mandatory to complete two years of ‘junior high school till the Year-10. Students leaving their school after ‘junior high school’ can also go for vocational education course or for apprenticeship training to enter the work force. However, at this stage, students have also have the option to either discontinue their education or to pursue their further course of studies. One they decide to continue further course of studies, it is mandatory to complete yet another 2 years of ‘high school diploma’ which is Year-12 of their education under Secondary School and head towards further education (Tertiary School). After completing their Final Year (Year-12), Students enter Tertiary (Higher Education) education that awards degree such as Bachelor’s, Master’s and Doctoral Studies. It is usual to find that the majority of International Student comes to Australia to pursue Tertiary Level Education since they have already completed their Primary and Secondary Education in their home countries. 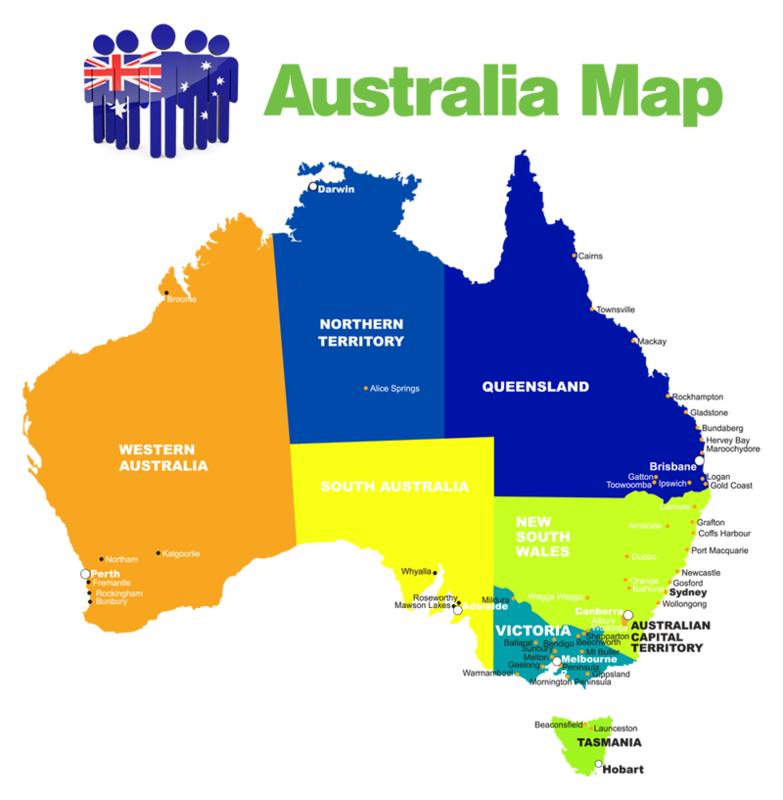 Besides the three distinct types of Education Systems that Australia offers, other types offered are mentioned below. These Courses are offered by colleges and other private institutions in Australia with course tenures ranging from one to two years and depending on the field of study and knowledge of employment experience. It is a 1-2 year full time course of study that offers high professional qualification. Diploma under AQF is a dual-sector qualification – higher education sector and vocational education & training sector. Diploma of higher education sector is depended on the selection of the academic program by the functional focus that provides general or specified training for employment at high professional level. They can coherent to advanced diploma courses and can provide advanced standing or credit transfer (usually one year) into a Bachelor Degree program. Advanced Diploma under AQF is a dual-sector qualification – higher education sector and vocational education and training sector. It is a Specialized Level requiring 2 years of full-time study with units from Bachelor’s Degree. This provides exit point with a stand-alone requirement featuring an option to pursue a Bachelor’s Degree. Note: Advanced Diplomas can provide advanced standing or credit transfer (usually two years) into a Bachelor Degree Program. For being eligible for the 2 years of full-time education program you need to have one or more academic disciplines and the progress of standard work skills. The Program highlights preliminary research-based expertise and provides advanced standing or credit transfer (usually two years) into a Bachelor Degree program in the same field. These Courses are most suitable for those International Students looking for an Australian Bachelor’s Degree especially intending to pursue courses in medical/paramedical/science. More importantly, these Foundation Courses are for those who fail get the required minimum scores in their Year-12 of study (Secondary School Education level in their home country). The Intake months for enrolling in Foundation Courses in Australia are in mostly January, June and October of every year. Once you acquire your Recognized Australia Bachelors Degree, you would be lucky enough to experience a modern and inspiring culture deeply ensconced in the lifestyle of modern day Australia! Divisions in Bachelor’s Degree Program of Australia includes ‘3-year degrees’, ‘4-year degrees’, ‘professional degrees’, ‘combined degrees’ and ‘Honours degrees’. For admission into an Australian Master’ Degree (Postgraduate Program), it is essential that you complete your Bachelor’s Degree with certain exceptions for pertinent work experience which is a prerequisite. Additionally, you also need to have completed one or more academic disciplines and achieved progress in standard work skills. The qualifications are based on the institution and the course for Master’s Degree adopted. Assessment for admission into your Master’s Degree Program will be based on the following determining factors beside level of university in your own country. Master Degree by Coursework – Bachelor Degree, Honours Bachelor Degree or Graduate Diploma. Master Degree by Research – Bachelor Honours Degree, Master’s Preliminary Year, a Research-based Graduate Diploma (or equivalent Research experience). Professional Master Degree – Bachelor Degree with appropriate work experience. Further, an entry may also be based on articulation from a Graduate Certificate or Graduate Diploma Program. Australian Doctorate Degree Programs require a minimum qualification of Master’s Degree or equivalent qualification in your chosen field of study. 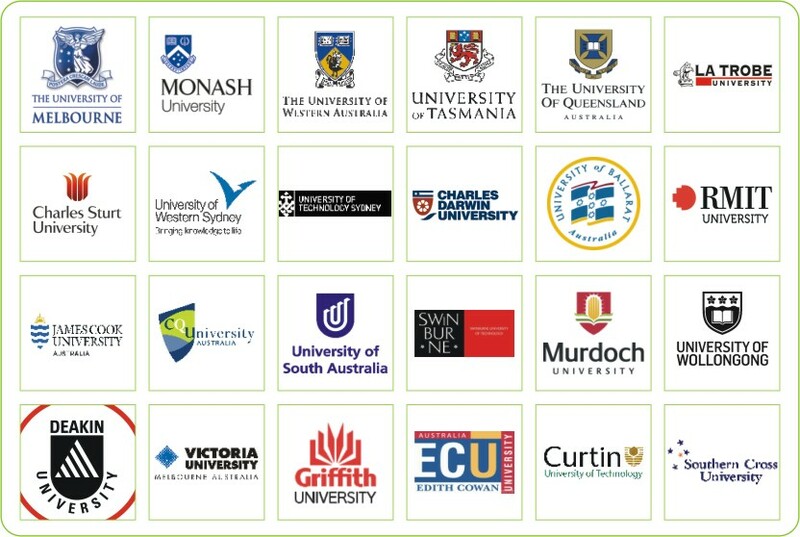 These Programs are the top level of education award offered by universities in Australia. On the other hand, if you hold a Degree with work experience you should articulate eloquently, the knowledge of the discipline in which you plan to initiate your research. Entry is made on the basis of a Research or Part-research Master’s Degree or a Bachelor Honours Degree (First or Second Class, Upper Division). Entry is on the basis of a fine combination of Research and Coursework Master’s Degree, (or) by a Bachelor Honours Degree (First or Second Class, Upper Division) or equivalent. This System appreciates your student-preceding level of education so that your study is repeated. Credit Transfer facility is available for both Undergraduate and Postgraduate Courses. This System is more complex than it seems as it is highly dependent on the formal study for which recognition is required. Once you succeed in getting your Credit Transfers, it will help you to move between courses and institutions. You will also be able to utilize various opportunities to accomplish your prospective employment and respond effectively to them. Commences in the month of February ending in November of every year. However, many universities and colleges in Australia also accept enrolments in July. It is usual for universities and vocational institutes to conduct semester end exams in June and November. After such exams, there is a four to six week break between semesters followed by a long summer holiday (from December to February). This is your golden opportunity to work Full-Time and earn some extra welcome cash! Some institutions operate on a three semester (trimester) calendar or a four semester (terms) calendar. Approximately $9,000 – $11,000/- for rent, food, local transport, telephone, gas/electricity, school stationary, clothing and entertainment. This includes weekly grocery bill (about $55 per person per week). Your Student Card is one of the most valuable money-saving tools ever! Use it for cheap entry into museums, cinemas, theatres as well as on-campus services. For second-hand books at amazingly affordable prices, do visit your local Co Op book store often! You can avail special meal deals at many restaurants in cities around lunch-time and bars that have happy hours (usually between 5pm and 6pm or 6pm and 7pm). Happy hours means you can buy cheap drinks (if you drink!). Hunt for great money-saving local bargains. Check out the free magazines that are distributed throughout cities. Look out for them as these are freely distributed in subways and on the streets, in cafes, shops and bars, in fact wherever you go! Look out for highly valuable information ABOUT JOBS besides other entertaining news about what’s on in your city ! Living life in Australia as an International Student is FUN! If you are living in glamorous Melbourne, Sydney or Adelaide, you can live life to its fullest pleasures. But as an International Student you will be lost like an “Alice in Wonderland”. Hence we at SIEC have complied some very useful information to help you settle down faster and easier! Look at “Nine to Five” (inside Sydney), “Torch” (for Banks town and Canterbury area), “Inner West Times” (for Glebe, Newtown, etc,), “North Shore Times” )for Crows Nest, Lind field etc.). Don’t just keep to yourself. Go out, meet talk and make new friends with both Students and Travellers. This way, you will be able to network and access JOBSs as they become available. Location – is it within walking distance to local transportation and shops? Is it a safe area? Is the price within your weekly budget? Find out HOW many other people will you be sharing the house with? Make sure you have enough room for a bed and desk for studying with the least disturbances from your other room-mates. All Australia Visas are issued by the Australian DIBP (Department of Immigration and Border Protection). The Visas are issued only if your study program is a fulltime registered course offered by the Government of Australia for International Students like you or if you are applying to be a part of a registered course. The number of Australia Student Visas being granted for the Pakistan students has witnessed a gradual rise which is indeed a positive development as well qualified and recognized Overseas Education Consultants such as SIEC are helping Students in getting their Australia Student Visas with a high success rate! Simple Australia Student Visa Application Procedure – With the help of SIEC Education! Submit your Application for admission to your chosen university. Complete the Electronic Confirmation of Enrolment (eCoE) (It is advisable to wait till you get the guidance from the university to obtain your eCoE). They University will provide you information regarding how to apply and what documents are required to be enclosed with your application. See if you need to pay other fees such as Overseas Student Health Cover and Application Fee (if any). What is eCoE – Electronic Confirmation of Enrolment? An eCoE is the certificate issued by the DIBP for the students to confirm the acceptance of their admission in the university the student has applied and which is an essential requirement for the processing of the visas application or for visa extension. In either case, the importance of an eCoE can never be underestimated or ignored. Before the issuance of an eCoE, students have to undergo a Pre-Visa Assessment (PVA) based on the nationality and principal course of study. To be eligible for the student visa, students have to enrol in an Australian university/institution and receive an eCoE. The eCoE Form includes the critical information such as the course starting date, ending date and other codes used by the DIBP (Department of Immigration and Border Protection) that students have to be aware of. Typically an eCoE will be issued after the university receives the student’s tuition fee. A copy of your eCoE must be submitted to your local DIBP (Department of Immigration and Border Protection) office before your Australia Student Visa can be issued. If you are an International student belonging to a non-English speaking (Native speakers of English language) country, you have to take an IELTS/TOEFL test to prove your English language abilities. and are not allowed to work for more than 40 hours fortnightly during their semester, except any specific permission. sustain their OSHC (Overseas Student Health Cover) all the time during their stay in Australia. and Students under the age of 18 years have to arrange for their accommodation, support and general welfare provisions certified by the Australian government – DIBP. In case of changing the residence or other arrangements students have to get the written approval from the Government of Australia. Note: International Students cannot stay in Australia beyond their visa expiry date, unless it is an extremely critical situation. After receiving the eCoE from the educational provider, you can apply for your Australia Student Visa. DIBP (Department of Immigration and Border Protection) encourages you to prioritize your application by lodging your visa application as soon as they receive your eCOE. You have to make sure that you have met the English language requirements before lodging your visa application. E-Lodgement through Online: Visit the official Australian visa website http://www.immi.gov.au/e_visa/students.htm and proceed accordingly. The visa fee can be paid either by credit card or by Bpay method. REMEMBER! It takes 7 days to process the payment. Through your Online application you can automatically get the bridging visa, which enables you to stay in Australia and study while your application is being processed. Within 7 working days after lodging your application online, you will be receiving a decision regarding your application approval. If there is any incomplete documentation, you will be first receiving an e-mail or a letter advising you to forward the required further documentation and you may be required to re-lodge your application. Visit their nearest VFS office in their resident city. Once you download this Form, fill it properly and submit it to the officer, enclosing all the required documents including your eCoE, academic results, Medical Test results and other items listed in the checklist. All the above visa sub-classes are placed under Assessment Level 4 for Pakistan, with effect from 1st Sept. 2008. One special mandatory requirement while applying for an Australia Student Visa is that the applicant’s family members must be included on student’s initial student visa application, even if they do not accompany the student to Australia or intend to visit him/her in Australia in the future. Letter of Offer issued by your education provider for the course(s) you are undertaking stating the course, total tuition fees, duration and the course start date. If any of your dependents are 5-17 years of age (inclusive in the application), documentation confirming their enrolment in an Australian school and Under 18 your signed Consent Form is required to be submitted. If the applicant is under 18 years of age you will have to show evidence that appropriate arrangements have been arranged for their welfare before you lodge your application. Official declaration from the applicant’s parents/sponsor stating the nature of their relationship to you. They should confirm that they support you financially during your studies in Australia. Evidence of income accrued from retirement such as letter from the company at the time of retirement. This letter should state amount of pension, and recent bank statement showing credit of pension to the concerned account. Students are allowed to work 40 hours fortnightly during study and full time during vacations. Upon completion of Bachelor, Master or Doctoral degree from recognized institution , student is eligible to obtain two year post study work permit. Now any qualification below degree level will be considered for PSW. Study resulting in a diploma level qualification or trade qualification will not be considered. Student must have completed a single qualification comprised of minimum two academic years study or multiple qualifications completed in a total period of at least two academic years. Qualification must be through the Commonwealth Register of Institutions and Course for Overseas Students (CRICOS). Qualification must completed and conducted in English language. Student has been physically remained in Australia for minimum two year duration of course. Student must have hold valid student visa. Qualification used to fulfil the Australian study requirement must have been undertaken at any education provider which is accredit to offer degree level programs. Any qualification will be be counted only once towards the Australian study requirement for PSW and any stay for English language proficiency courses (ELICOS) cannot be used to meet the Australian study requirement. Two academic years study is considered 92 weeks of study but students may take longer to complete the course, but will only be credited with the number of weeks that CRICOS determines as a standard duration. Like, if student complete a course in 92 weeks but according to CRICOS it is 78 weeks course, then student will only receive credit of 78 weeks. Failed subjects will not be considered. Study completed outside Australia cannot be considered to fulfil the Australian study requirement. For many one of the top priorities on arrival in Australia is finding a job, either part-time or full-time, depending on the type of visa you hold. For some of you, this might be casual work, such as working in a café or restaurant or as a waiter/waitress, for others you may have skills enough to work in an office. IMPORTANT: Make sure you have a tax file number. Fill out a tax declaration form given to you by your employer, using your tax file number. Before you agree to the position, ask your employer about the hourly rates of pay and under what Award you will be covered. Also ask whether you will be paid weekly, fortnightly or monthly, and whether your pay will go directly into your bank account or will be given to you directly. TFN is an 8 or 9 digit number issued by the Australian Taxation Office (ATO) to each taxpayer to identify their Australian tax transactions. If you are working in Australia on your Student Visa (as per prescribed laws), it is compulsory to apply for your tax number and pay tax for the income you earn accordingly. Australian Industries encourage and sustain the economic activity. The national income comes from industries like Education, Agriculture, Finance, Hospitality, Manufacturing, Construction, Business services, Technology, Tourism etc. International Students can find great work opportunities! Students can work up to 20 hours a week (anywhere) during course time and 40 hours per week full-time during vacation periods if they have been granted a work permit.